The daughter of weapons designer Torbjörn Lindholm, Brigitte specializes in armour and defense— throwing Repair Packs to heal teammates, or automatically healing nearby allies when she damages foes with her Flail. Her Flail is capable of a wide swing to strike multiple targets, or a Whip Shot that stuns an enemy at range. When entering the fray, Barrier Shield provides personal defence while she attacks enemies with Shield Bash. 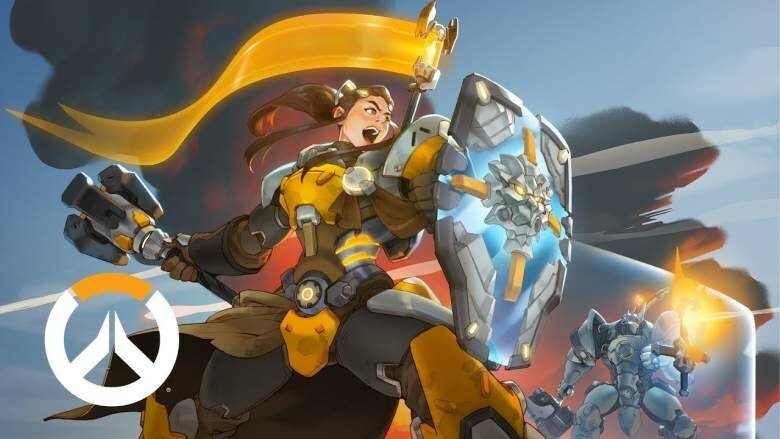 Brigitte’s ultimate ability, Rally, gives her a substantial short-term boost of speed and provides long-lasting armour to all her nearby allies. To learn more about Brigitte, check out her Hero page. You can also download screenshots on the Blizzard Press Center, and check out her Sizzle Reel on YouTube.